I was raised in a strictly no video game household — at least, until the baby boy of the family asked for leniency — and I’ve mostly appreciated the fact that my childhood was spent in libraries and swingsets and pools instead of in front of a screen. Sure, I loved visiting my best friend with Sega because who can resist that delightful blue hedgehog, but I never really understood the fuss about Street Fighter and Super Mario and whatever other cultural institutions of the 90s I happened to miss. 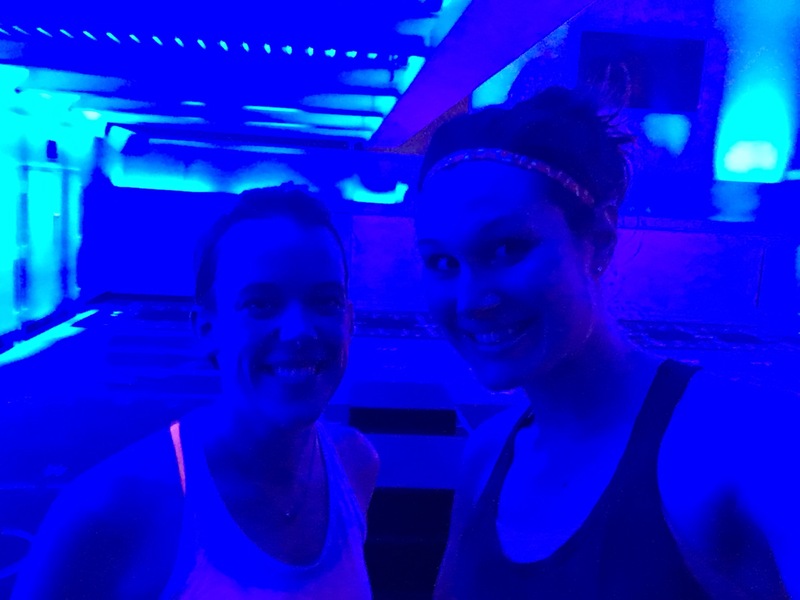 So when a NYC friend suggested we try a new high-tech workout likened to stepping into a video game, I was a little skeptical. What I love about my brand of fitness is it’s undeniably low-tech: a pair of shoes, a casual run, a pacing watch only on those rare days I remembered to charge it. The idea of an electricity-fueled, LED-light studded workout seemed about as foreign to be as Saipan — a U.S. commonwealth I only learned about two weeks ago when watching Beachfront Bargain Hunt. And who says HGTV isn’t educational? The high-intensity, circuit-based program didn’t exactly pull at my heartstrings, but the gym was located two blocks from my apartment and the first class was free, so I didn’t have much of an excuse. I signed up, met my friend in the lobby, and we headed up to the recently remastered studio, not knowing what we’d find. The class, called AG6 and offered by the Upper East Side’s Asphalt Green, only began last month, and it was clear from a show of hands that we weren’t the only newbies in the room. Still, the very energetic and neon-clad instructor didn’t take it easy on us. After a quick warm up, she introduced us to the seven stations we’d be rotating through in 30 second and one minute intervals. Many were cross-fit staples (or so I believe as a person who has never actually done crossfit): burpees, box jumps, mountain climbers, ladders, etc. But other exercises weren’t your regular run-of-the-mill gymnasium stuff. 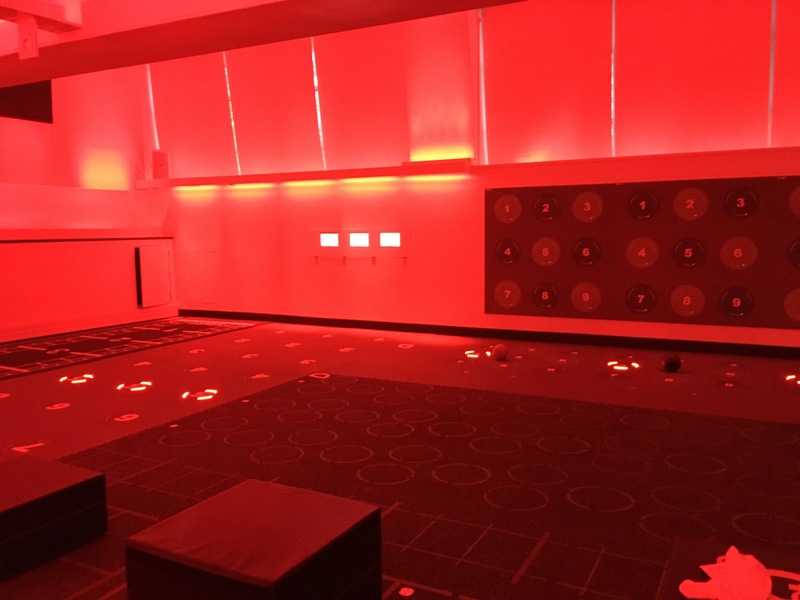 Two of the exercises involved bounding from one light-up floor panel to another, which would trigger a sensor and activate the next panel, keeping us on our toes and making it feel like we were in a real-live video game. Anyone interested in trying it out? No guarantees, but the promo code I used (code: AG6WG) came from this wonderful freebie website. As the quality folks at Fit for Free NYC described it: To get your free class, register here, scroll down and click “view all,” and add an AG6 session to your cart. Apply the promo code AG6WG to get your workout for free. The code expires on May 31st, so do it now! Shout-out to Well + Good for providing us with this awesome free code. Also, note that once you get the free class, you need to sign up for a specific session, with signup starting 7 days before the actual class. It sold out fast, as one of the friends who wanted to join can attest to, so you’ll want to act decisively. Do it, video-game lovers, for Sonic! This entry was posted in Training and tagged ag6, crossfit, workout. Bookmark the permalink.